Myriam Bara is a teacher at a secondary school in Winnipeg. 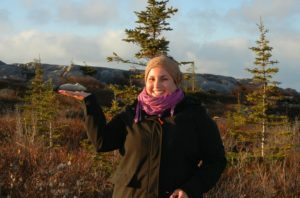 She is a certified educator with National Geographic and her greatest accomplishment as a teacher has been to establish a program between her urban school and the semi-isolated community of Churchill, in Northern Manitoba. This program gives students the opportunity to really experience the north while interacting with experts who demonstrate all that their communities have to offer. She is working on her Masters in inclusive education and is in process of writing her thesis about the importance of programs like this one. She wants to show students that the world is one big classroom!